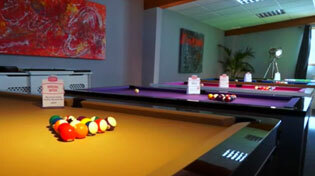 Home Leisure Direct carries a great range of Buffalo English Pool cues. In stock now for free delivery to the UK. Buffalo English Pool Cues offer a fantastic level of quality at an affordable price, and are some of the most beautiful cues available at their price range. Despite their affordable price, Buffalo cues do not skimp on quality and use the best materials available in their construction. They use stainless steel joints and caps, and high-quality woods such as Canadian Maple and Ash. Buffalo cues are made with traditional materials combined with the latest technology, including Shaped Charged Technology (SCT), resulting in a cue that is beautiful to look at, yet will give you your very best game of English Pool. All of our Buffalo cues come with free delivery to mainland UK. However, for locations outside the UK mainland there may be an additional charge depending upon your exact location. Please call our friendly customer service team on 0800 622 6464 for a quote. Visit our showrooms to see the range of Buffalo cues we currently have in stock. You can try each of them out for yourself, and ask our experienced staff anything you need to point you in the right direction of your perfect cue.